The Palm Beach County Gold Star Family Memorial Monument will be located at Trinity Park off of Flagler Drive. WEST PALM BEACH, Fla.-- A special project in downtown West Palm Beach has been given the all clear and a groundbreaking ceremony is scheduled. 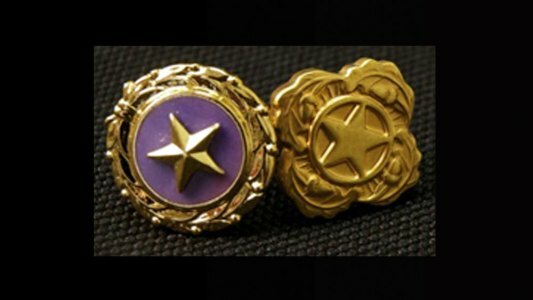 A Gold Star family is one who lost a family member serving in active military duty. Lauren Berkson of Riviera Beach is spearheading the project. Berkson’s father died in Vietnam when she was 10-months-old. "This monument is going to be a reminder for the community that freedom isn't free," said Berkson. “For these Gold Star families, every day is Memorial Day," Berkson added. Berkson has support of Gold Star mother Kathi Bischoff of Jupiter. Bischoff’s son Samuel Griffith died in 2011 serving with the Marines in Afghanistan. Bischoff says being a member of the Gold Star community is bittersweet. “The reason we're together is because we've suffered a terrible loss." Bischoff wants the monument to open doors to remembering fallen heroes like her son. “I want people to ask me about my son and who he was and what happened to him." The monument’s cost is expected to be $50,000. The Hershel Woody Williams Medal of Honor Foundation is helping with fundraising.